You are reading post in which you will get to know about UP Police Bharti 2018. The UPPBPB (Uttar Pradesh Police Recruitment and Promotion Board) has released an official notice regarding the UP Constable Recruitment 2018 examination. The UP Police recruitment latest news is that, the Board is all now set to recruit about forty one thousand five hundred and twenty constables within the state. This particular examination shall be a written based one and candidates who are eligible to apply and willing to work under the Police department in UP shall apply for the recruitment examination. The official notice regarding upcoming recruitment examination has been released with number of vacancies that are to be filled based upon the reservation that are allotted to the aspiring candidate. The UP Police vacancy latest news is about twenty three thousand five hundred and fifty posts that have been reserved to fill up with eligible Civil Police aspirants and remaining eighteen thousand posts shall be filled for Arms Constable. ► Rajasthan Police Admit card has been released which you can check here. Every academic year, the UPPBPB releases official notification regarding their recruitment examination for various posts within the state. Every other aspirant who is looking forward to work under the Police Department in UP shall wait for this official notification to get to know about the recruitment examination. The UP Constable Recruitment Notice 2018 has been officially released and one can check it from here. There are more latest police jobs 2018 published on our website, so please check them here. The UP Constable Recruitment 2018 notification has every other detail regarding the upcoming recruitment examination. It has the age limit, educational qualification, fees structure, last date to apply and vacancy details based upon the community the candidate belongs to. 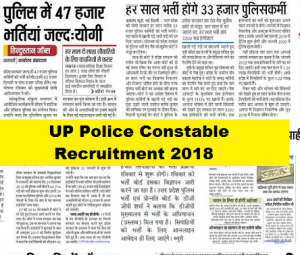 The number of vacancies that gets filled up through UP Constable Recruitment examination every academic year differs and the UP Police Constable Vacancy Details for 2018 has released to be forty one thousand five hundred and fifty in number. Furthermore, the UP Police 2018 vacancy details stated that about twenty three thousand five hundred and fifty posts are said to be reserved for the civil police, while eighteen thousand posts are reserved for the PAC. Women candidates are completely restricted to apply for the vacancy posts within the PAC. You can also check Tamil Nadu Police Recruitment 2018 here. The UP Police constable 2018 eligibility criteria have also been released with the recent official notification. The candidates who are about to apply for the recruitment examination, must have completed and passed in their intermediate examination from any board within India or any other equivalent examination. The male candidates who are between the age group of eighteen to twenty two years are eligible to apply for the recruitment exam. One must have completed eighteen years of age or should not be more than twenty two years of age while applying for the exam. Don’t forget to check CG police Recruitment 2018 post on our webpage. The female candidates who are between the age group of eighteen till twenty five years of age are eligible enough to apply for the recruitment examination. 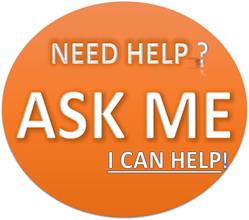 Visit the official web portal of UPPBPB from any of your internet connected mobile phone or personal computer. Fill in with the relevant details and then submit the application form to complete your online application process. The UP Police Constable Recruitment 2018 can be applied only through online and there are no other offline modes available at the moment.